Welcome to our site! We hope you find what you need, but please contact us here if you have any questions. BroadLink® RF-IR Blaster Automation Hub: Need an easy phone app system? Take a look at our affordable home automation hub, operated by Android and IOS apps. This RF-IR blaster hub can learn RF radio signals for our blind motors and skylight/window openers! It is also has IFTTT event triggering (if-this-then-that) and IR learning; see how we use this for temperature sensing to open skylights and windows (we also have interfacing for Z-Wave and other home automation systems). Turn all your old phones and tablets into powerful WiFi home automation controllers! You may have seen how handy our window blind and shade systems are, now you can use the same safe, low voltage 12v technology to open and close your skylights. It is simple to adapt this unit to most types of skylights and windows because it does not need to rotate in any way like hinged units do. The stroke is also adjustable: 4" (100mm), 8" (200mm), 10" (250mm), 12" (300mm), and you can spray paint the aluminum housing to match your decor. These unobtrusive 12 volt electric skylight openers can also be used for controlling vents, windows, drawers, cabinet doors and any other item you would like to move with a motorized actuator. It can be controlled by a simple switch, or with the same remote controls that operate our motorized blind and shade systems. We have also "Future Proofed" our RollerTrol™ blind, shade and window/skylight opener products! If you later decide to expand your system with a home automation system, we have created an easy pathway that allows the continued use of your existing hand held remotes, preserving your investment. Please read this article series about the BroadLink® system to find out how to control our skylight motors (with rain sensing) using a tablet or phone. If you already have a Z-Wave system, you may prefer our Z-Wave interfacing products. You can use our products with any home automation hub, such as Wink®, SmartThings®, Razberry Pi ®, Vera®, Homeseer®, Staples Connect®, Fibaro®, Wemo®, etc." 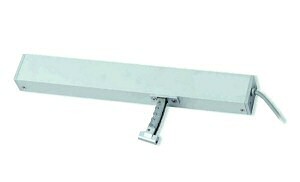 The linear chain actuator pushes straight out from the fixed housing which lines up unobtrusively with your skylight frame, fastened in place with mounting screws. 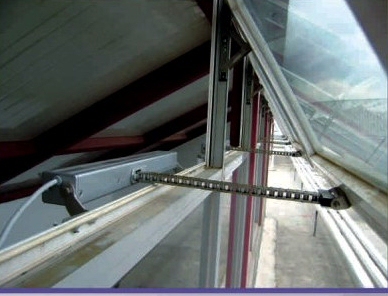 Attach the end of the chain actuator to the skylight with two screws and you're done! Use it to control the motion of anything you want, including skylights, greenhouse vents, windows, etc. The flex link direct push drive has an adjustable maximum 300mm stroke (~12"), and the opening/closing force is approximately 20 lbs, ~12 kg, max current consumption is ~2.0 A @ 12v DC. 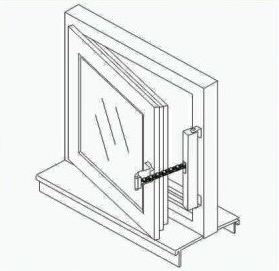 It can be adapted to work with most types of skylights or windows: single hung, double hung, hinged casement, etc. The internal electronics provide motor overload cutoff and travel limit stops. 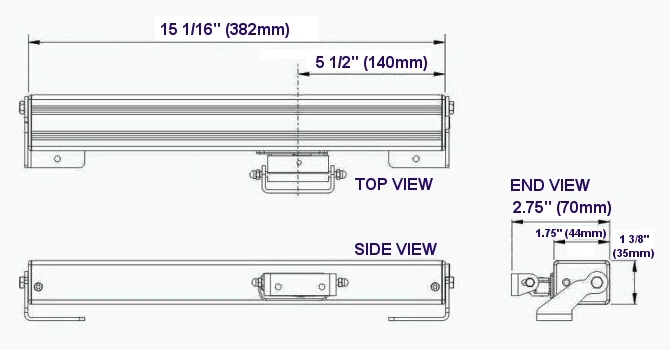 If you need to make a large skylight or bottom-up shade, you could also consider using our ShadeSlider™ chain drive skylight shade motor kit. 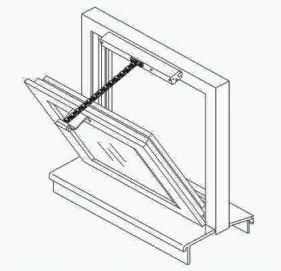 It does not require any spring loaded roller for operation, so it can handle large shades with ease. 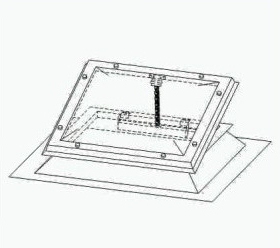 You can buy these electric skylight openers in our online store. Please keep in mind you can also use them with a web enabled home automation system, which further extends control to your phone, tablet, laptop or any other web enabled device (whether at home or away). 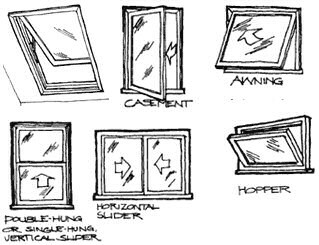 Care should be exercised when these units are installed where adults or children could get fingers caught in a closing window - serious injury could result. Use of insect screens can help eliminate this possibility. Copyright © 2010 - 2019 RollerTrol™ Automation Systems. All Rights Reserved.